Did Zimbabwe’s First Lady Attack Gabriella Engels? – Kenyatta University TV (KUTV). All Rights Reserved. Did Zimbabwe’s First Lady Attack Gabriella Engels? 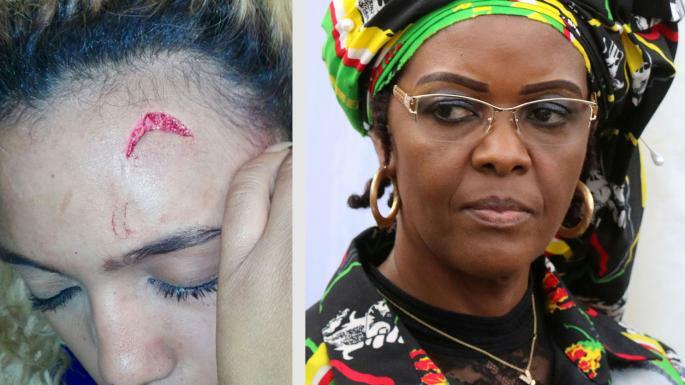 Zimbabwe’s First Lady, Grace Mugabe, has denied assaulting South African model Gabriella Engels with an electric cable in a Johannesburg hotel suite last month, saying an “intoxicated and unhinged” Engels attacked her with a knife. Mugabe countered 20-year-old Engels’ version, portraying herself as the victim after intervening on behalf of her adult sons Chatunga and Robert Junior who were “in trouble with a drunken young woman”. Zuma has denied any hand in the affair, telling parliament on Aug. 31: “I am not a lawyer. I don’t know the point of law and I was not involved in this process. How it was done, I would be lying if I speculate.” His spokesman declined to elaborate.